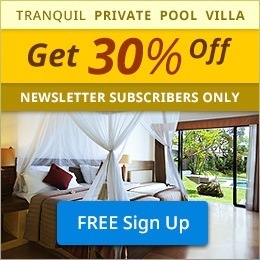 Are you lovers or Bali honeymoon couples who looking for impeccable romantic spot to watch sunset in Island of Paradise? 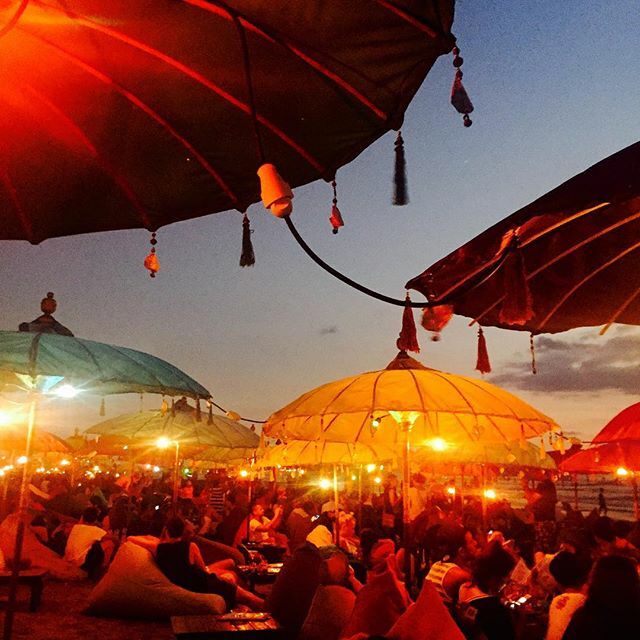 Too boring enjoying Bali Sunset among the crowd of Kuta beach? 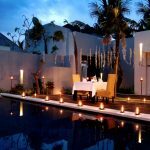 Here, we provide a list of six peaceful places with romantic sunset that can be considered for your next date in Bali. Check it out! No one underestimate the picturesque Uluwatu Temple. You may see a lot of picture that exposing the magnificent Uluwatu stands on the cliff bank overlooking Indian Ocean splendor. Situated on 80 meters above the seal level, seeing the Temple would be a fast-heartbeat moment with your loved ones. When the sunset color explodes, a kind of dramatic view simply greets you by romantic vibes. 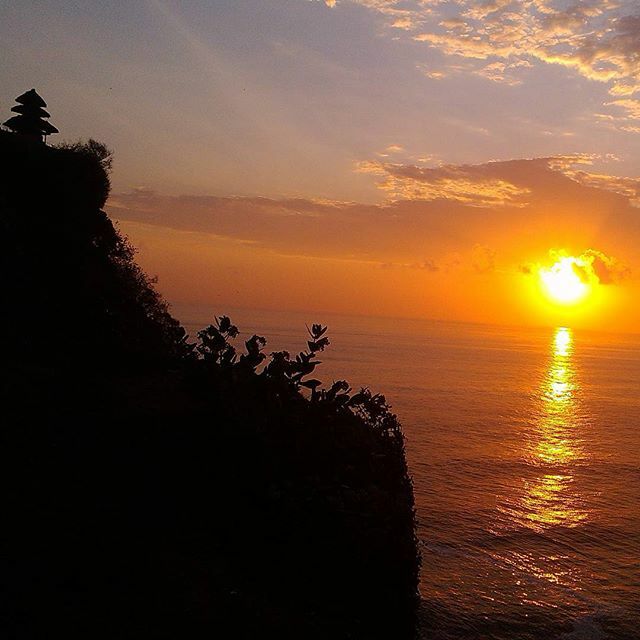 Sunset and Uluwatu are a good companion, aren’t they? 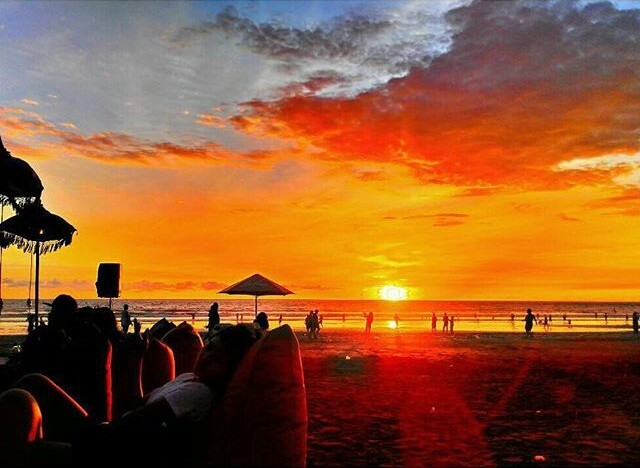 However, it is more than Bali Sunset attraction. Guess why? 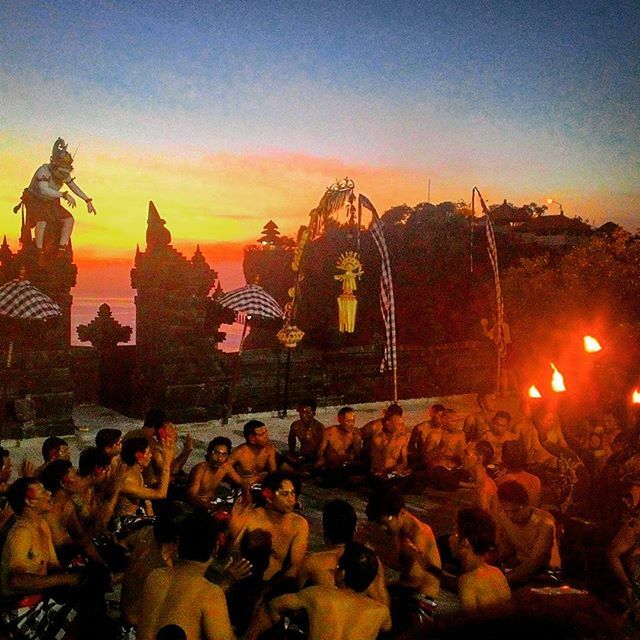 Because only in Uluwatu, you can watch romantic Sunset accompanied by epic Balinese dance. 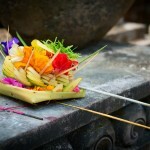 A traditional dance named Kecak will be performed, whilst waiting the dusk. You will see a group of male dancer shouting in rhythm without accompanied any musical instruments, then somehow they will sway their body and wave their hands on the air. Kecak dance picks a certain story line to be performed, which is usually presenting Ramayana, a love story between Rama and Sinta. 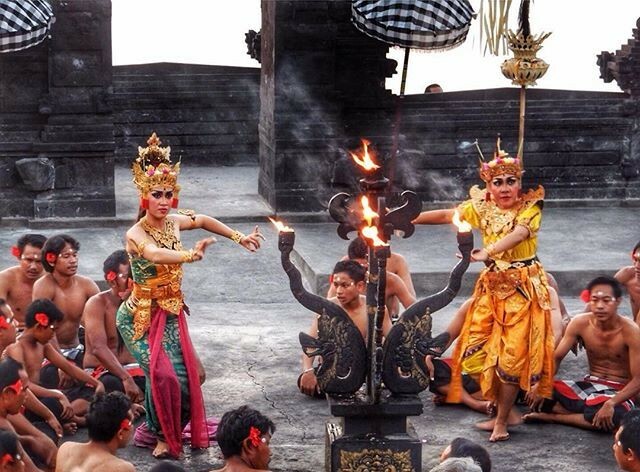 Watching this theatrical dance with your soulmate must be a perfect date thing in Bali. Some scene during the show will perform Hanoman, an important character of Ramayana story that helping Rama to save Shinta from the evil guy named Rahwana. He always steals the attention by its acrobatic dance. To enter Uluwatu, it will cost only IDR 15.000 per person. It excludes to watch Kecak performance, which takes around IDR 100.000 and it’s worth it. 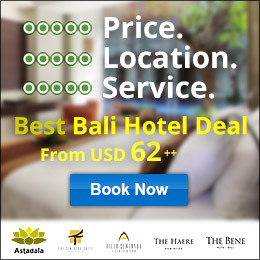 From Ngurah Rai International Airport to Uluwatu, it takes only 35 minutes-drive or 50minutes from Kuta and Seminyak. You should take bypass main road, either from Nusa Dua or Jimbaran, and then find direction through Bukit Peninsula Jimbaran. Follow the road to reach Uluwatu. Anyway, It is located about 26 km from South of Kuta. At first time discovered, Tegal Wangi Beach located in Jimbaran is typical hidden beach that less known by people. However nowadays, the beach looks more popular among local and tourists and transformed to be the most perfect place to have a Bali pre-wedding photo shooting. Believe it or not, the melting sunset becomes such a romantic magnet for many new soon-to-be-married couple to do a Bali pre-wedding. The beach can be enjoyed from the top of cliff or on the shore. However to access the shore, we should firstly enter it from the top of cliff. There will be a step path down only around 20 meters to the shore. Couple loves to take picture from the clifftop, in order to get a splendid combination between wide Ocean, sunset, and cliff. Whilst at the shore, the lovely moment can be perfectly captured by playing with corral rock view, exotic white sand, medium wave, and absolutely sunset. Two hours before real sunset are perfect timing for those couple who what to get more dramatic colors for their Bali pre-wedding photos. It’s free entry access to the beach, but you only need to pay parking area, which probably costs IDR 2000 for bike and IDR 5000 for car. For those couples who plan for taking pre-wedding photo shoot, there is a special charge around IDR 150.000. After leaving Ngurah Rai International Airport or Kuta area, you should follow the direction from bypass main road to Bukit Peninsula Jimbaran. Because, the beach location seems hidden, you need to remember a spesific direction to the Ayana Resort. If you find the board sign of Tegal Wangi Temple, you are not so far to reach the beach area. It takes 35 minutes-drive or 14 km from Kuta to the beach. 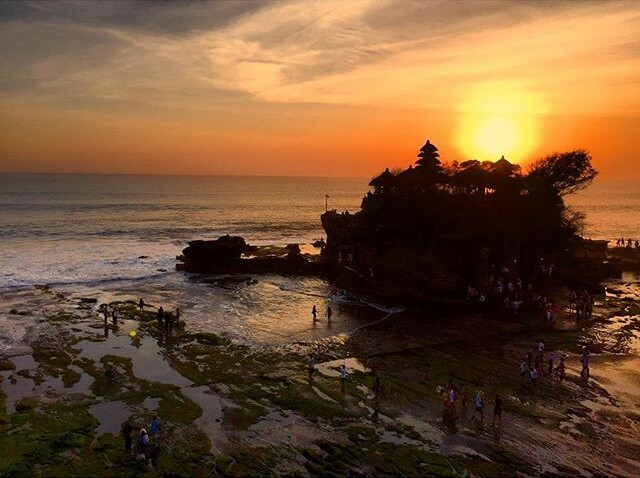 Do you agree with us that the most epic sunset place to watch in Bali goes to Tanah Lot Temple? From many alternative recommendations after Kuta Beach, Tanah lot always appears on the top are impeccable destination to catch romantic sunset moment. 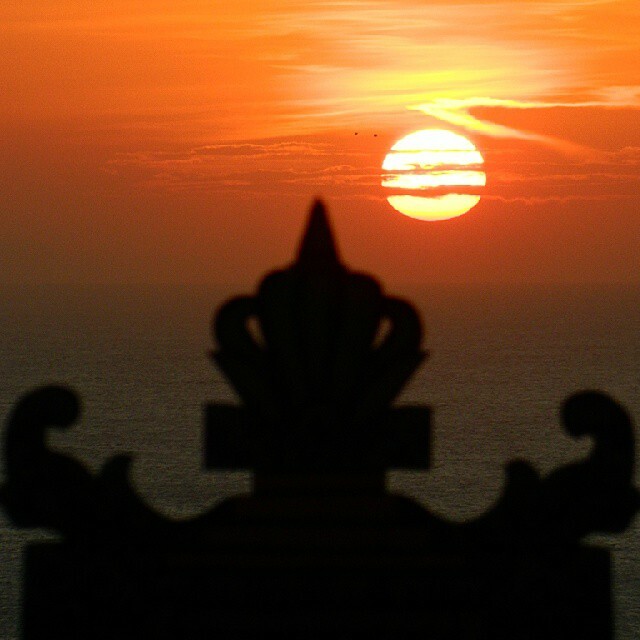 It also becomes a sunset landmark for Bali postcards and any travel photography. When the sun goes down behind a renowned Hindu temple set on the large coral rock, let it be the most memorable moment for you and loved ones. In addition to experience the peaceful Bali sunset romance, don’t forget to record it with your camera. Taking a wide-angle photography will be more interesting to ensure a whole picturesque moment captured. Interestingly, the temple is built on the 3 acres natural rock that positioned 100 meters from the shore. It takes only within few minutes-walk to reach it. 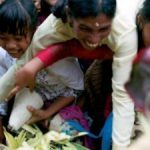 At the temple, Balinese Hindu people worship the manifestation of God in Sea named Bhatara Baruna, in which to invoke prosperity and harmonious life between sea and earth. Balinese believes that a priest named Dang Hyang Nirartha was an initiator of temple building during his holy travel to Bali on 16th Century. During your visit, there would be 8 different temples around Tanah Lot area besides the primary ones that can be seen. One of them named Batu Bolong looks truly attractive by its position stands on the giant hollow rock. 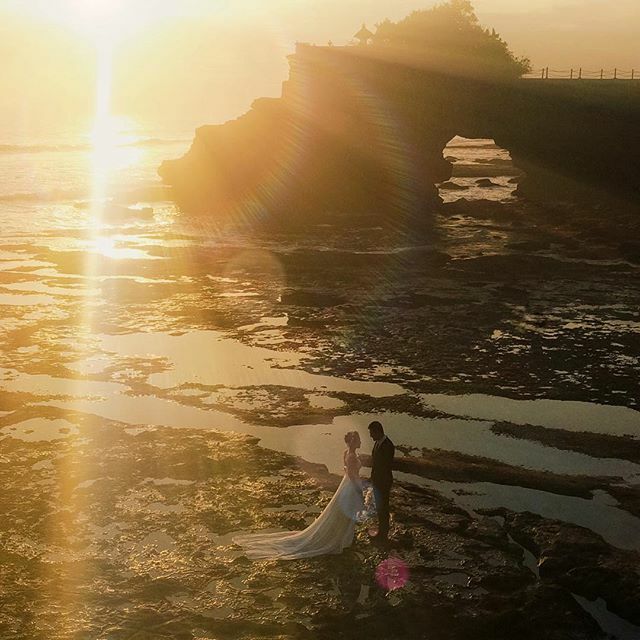 Located on the right side of the main Tanah Lot Temple, this Batu Bolong temple can be also a perfect background for your romantic Bali pre-wedding photo shoot. When dusk and low tide come , it is also perfect time to capture a beautiful green moss-covered corral rock in Tanah Lot. 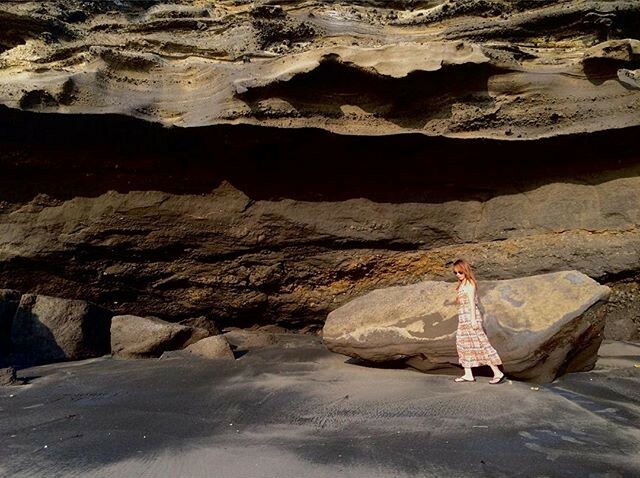 You also can take a picture behind the giant rock around Tanah Lot, because it brought a natural texture that looks perfectly enchanting on your Instagram feed. For entry ticket, it cost IDR 30.000 per person (for foreigner), while parking ticket for car is only IDR 5.000. For those who have a plan for taking pre-wedding session, they should prepare budget around IDR 500.000. It takes almost 19 km or around 1 hour-drive from Kuta and Ngurah Rai International Airport. It is heading to West Bali, specifically following the main road of Canggu. You will see some green board signs that directing you to find Tanah Lot. 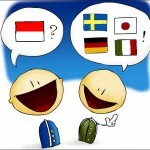 It would be better, if you rent a car or arrange it with tour agent to explore much more about this place. If having a romantic dinner in five-star restaurant sounds boring and mainstream, and then you should take your loved ones to the beach. 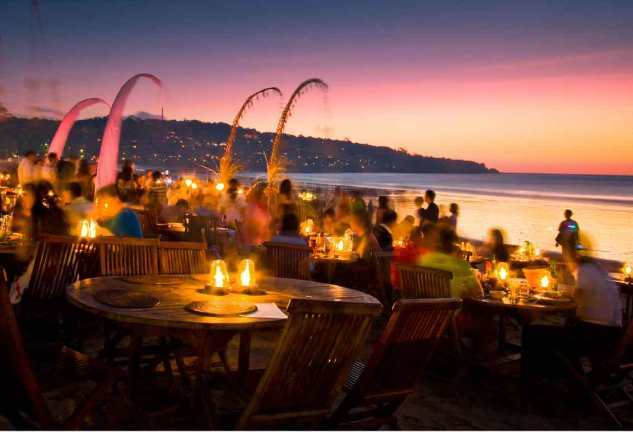 Take your destination to the Jimbaran Beach and let’s experience the magical dining sensation once in your life. Imagine, one table for two overlooks the picturesque blue Sea with a spectacular melting sunset panoramic, while enjoying a fresh-delicious seafood menu. And yes, we admit that sunset sequence is a climax for all perfect romantic moments happened at the beach. 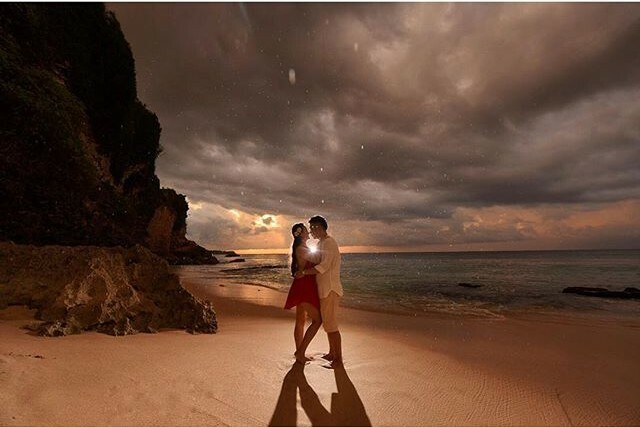 For those who will be considering to propose their soulmates at the beach, Jimbaran should be your first venue consideration in Bali. 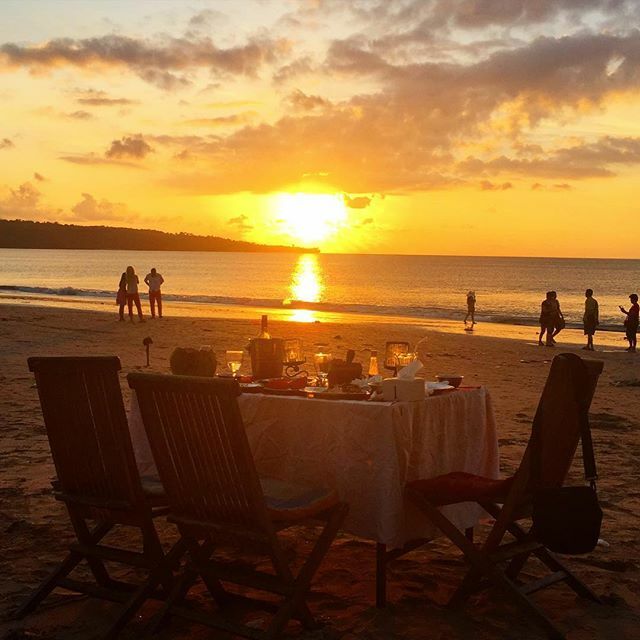 Sunset, Beach, candle light dinner, seafood, and lovers are an impeccable combination to set the true romance, aren’t it? This white sandy beach is not only popular by its exotic panoramic, but also as a center of Balinese seafood. 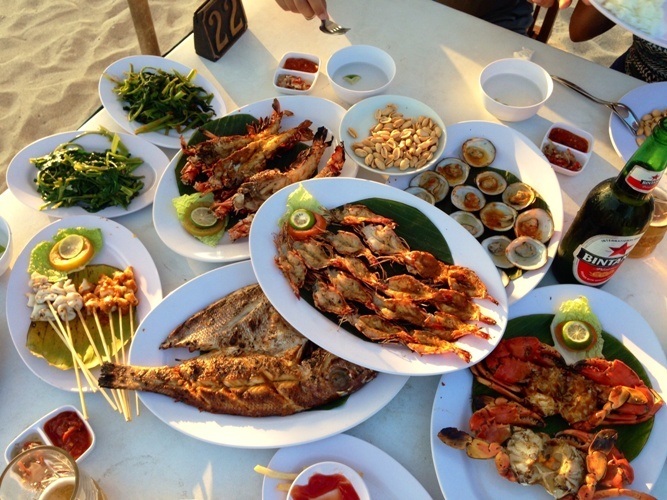 No wonder, there are so many local restaurants by the beach offering various seafood selection with delicious local recipes, such as red and white snappers, king fish, prawn, lobster, crab, squid, barracuda, shell, and many more. Mostly, those are fresh catches from local fisherman to ensure you get the best taste ones. 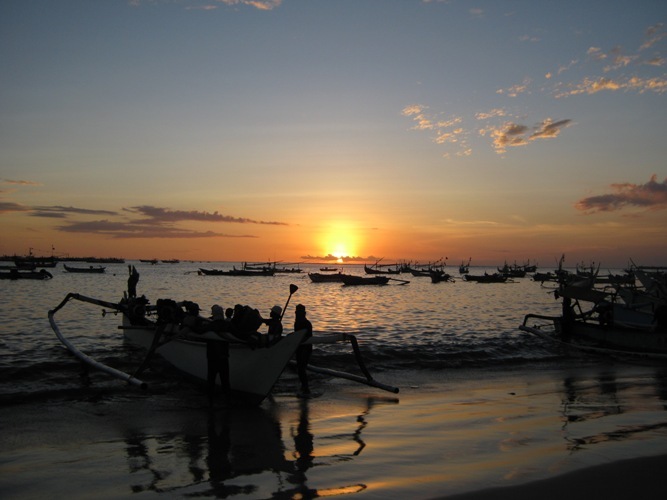 Despite as touristic area, Jimbaran is actually well-known as a small local fishing village in Southern Bali. Free for entry, but it only charges for parking place probably around IDR 5000 for car. 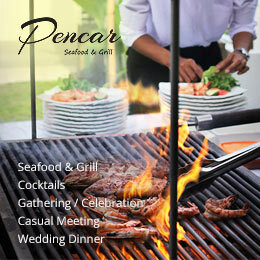 Whilst, each Jimbaran seafood restaurant offers various competitive price range, from IDR 10.0000 to IDR 500.000. Situated between Kuta and Bukit Peninsula, you may take 11 km or around 30 minutes-drive to reach Jimbaran. You can take direction from Bypass Ngurah Rai. Follow the road and find the green sign that leading to Jimbaran area. 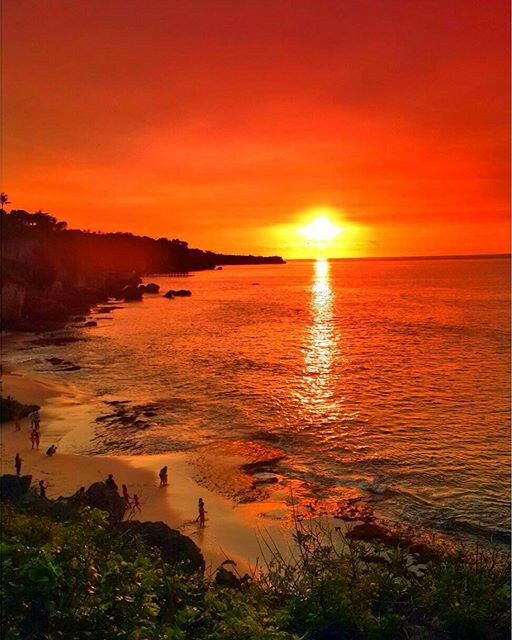 Who does say that true romantic Bali Sunset only belong to Bali Southern Coast? 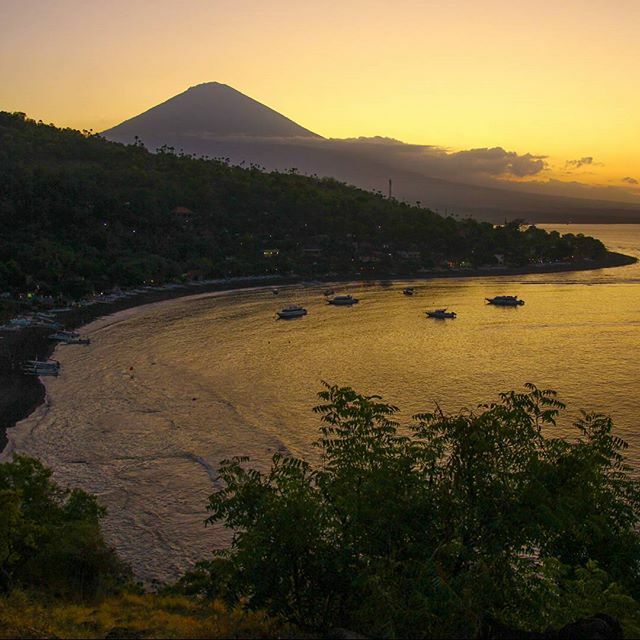 You should go to North Eastern of Bali and stop at a famous stretch of coast named Amed. 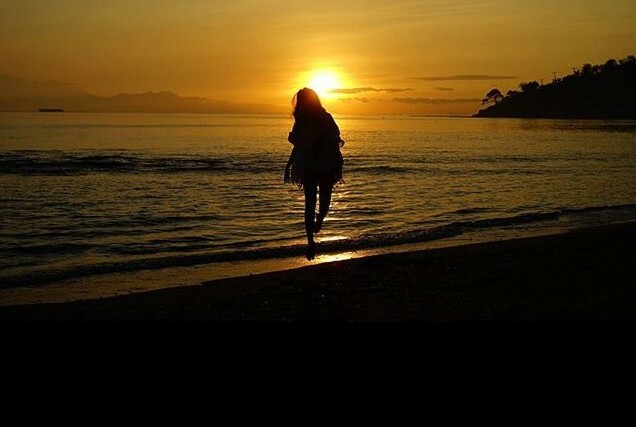 The place let you and your loved ones experience such a sentimental sunset goes down into the sea. From Amed’s top hills, you will be able to enjoy a wide spectacular panoramic that combining flawless dusk, black sandy coast, tropical nature, and some traditional fishing boat. 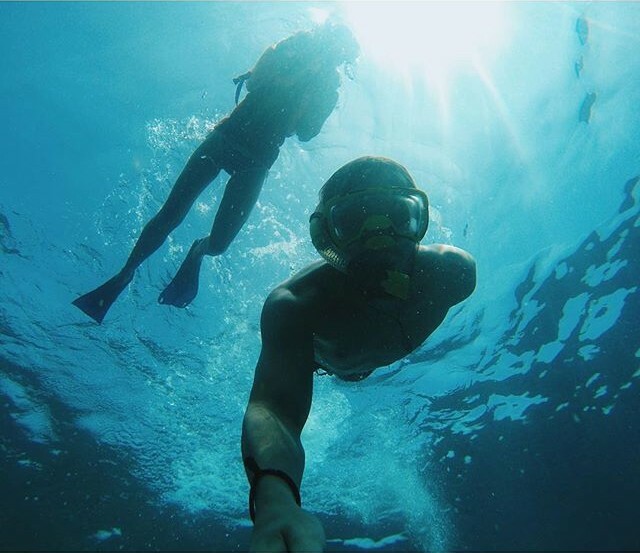 Amed is well-known among the underwater lovers, either local or foreigner, because it also offers a wondrous place to have snorkeling and diving. A beautiful landscaped underwater with The Japanese Shipwreck site and colorful fishes plus corral can be ‘a romantic appetizer’ before sunset for you and your love. It is totally free to enjoy Amed Beach. 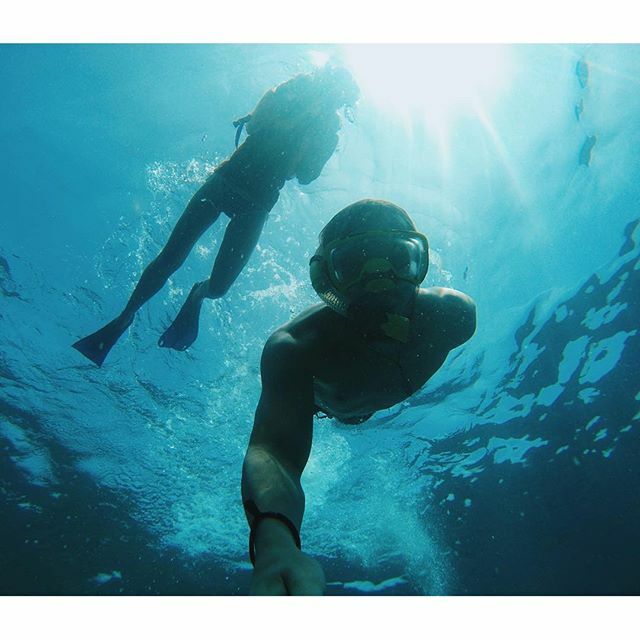 Except, if you have a plan for doing underwater sport activities, you need to find some local underwater sport guide or diving center and it will cost some money. You should take a trip to north-eastern Bali, Karangasem from Ngruah Rai International Airport via bypass main road of Ngurah Rai, then continue to bypass Ida Bagus Mantra, which takes approximately more than 2 hours-drive with 100 km of disctance. Sunset is a true friend of Double Six Beach. 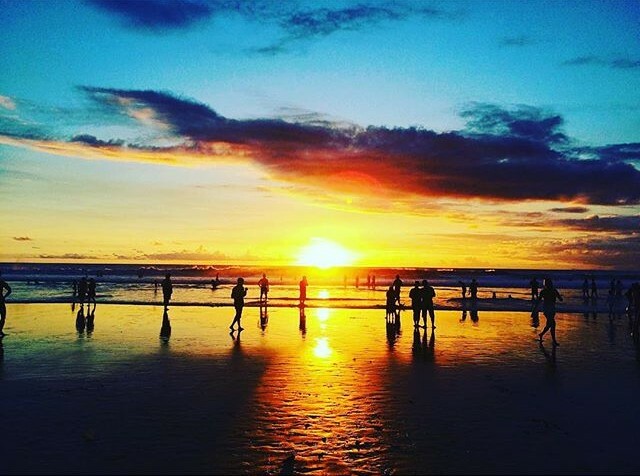 A white sandy beach situated in the heart of Seminyak offers such a tropical golden sunset with your love. You don’t have to sit or lay on the sand, because some beach restaurant also provides bean bags to chill and watch the panoramic. All you can do is only ordering some beverage or food, then freely enjoying a glorious romantic Sunset with your lovely someone in casual way a la Double Six. Only cost for parking ticket around IDR 5000 per car and IDR 2000 per bike. If you want to enjoy the view from beach side restaurant offering chill bean bags, then first of all you should buy drink or food there. To reach Double Six, it takes only 15 minutes-drive from Kuta or 35 minutes from Canggu. However for those who staying at The Seminyak Suite, you may have easiest access, because it only needs 10 minutes-walk from villa. one of the most resort here Hidden Valley Resort, the Spa is secluded, peaceful and surrounded by our beautiful grounds. We offer a variety of both therapeutic massage and pampering beauty treatments to help soothe the body and mind.